Healthizen's Blog: What Is BMR And How Does It Affect You? What Is BMR And How Does It Affect You? Definition: Basal Metabolic Rate (BMR) is the number of calories your body burns at rest to maintain normal body functions. It is the amount of calories per day your body burns, regardless of exercise. It changes with Age, Weight, Height, Gender, Diet and Exercise habits. It can also be defined as - The minimum level of energy required to sustain vital functions such as Breathing, Digestion and Circulation. We all need a certain number of calories to function, so it's important not to reduce your calories below your BMR when you're trying to lose weight. BMR is sometimes also referred to as RMR- Resting Metabolic Rate. Now a few of you might ask..Okay what about AMR? Well by definition: AMR is Active metabolic Rate which refers to the calories that your body burns during activities like – Running, Cycling, Jogging, Swimming, Dancing, Playing a game – basically all those activities in which your body is “active”. Very Light Activities: Driving, Reading. Light Activities: Walking, Playing Piano. 1) Younger people have a faster rate of BMR because of increased activity of cells. 2) Men have 10-15% more BMR than Women because of greater percentage of Lean body tissue. 3) BMR decreases with Age. Why do Women put on more weight than Men? The BMR represents 60-75% of Total Energy Expenditure in an average person. BMR depends on how much your body is ‘low-fat’ or ‘fat-free’ Women have a lower BMR, due to mammary (breast) and gluteal (buttock) tissue which is higher in fat than in men, for the natural processes associated with child birth and rearing. Consequently, on average women need to eat less food than men, if they are to maintain a healthy weight. And anyways I always feel that exercise is all about adding positivity to yourself, once you are addicted to adding a little positivity to your body - Daily you won’t skip it. So females start adding positivity to your lives DAILY! Unfortunately being Humans our bodies react to dieting by decreasing BMR. And therefore it is very important to keep a Healthy diet in general, but specifically important while trying to loose weight. Let me tell you that - very frequent weight gain and weight loss (yo-yo weight pattern) is a very unhealthy way to live. I shall discuss this point some other time. Feasting = Large meals = More than needed energy = Increase in Fat reserves = Low BMR. Low calorie diets = Less energy than needed energy. a) Intra-abdominal fat (fat around abdomen). Genetics can affect the amount of fat and muscle in our body. This fat-muscle ratio has a direct effect on our BMR. 5) Avoid Snacking on High Sugar foods/High Fat foods and Processed foods throughout the day. High sugar/fat content in the food = More than needed energy = Increase in fat reserves = Low BMR. Inactivity = Lower BMR = More fat deposition. Keep your body active to build more Lean body tissue = High BMR. Alcohol is dense in calories = More than needed energy = Increase in fat reserves = Low BMR. · Whole grains and oats. · Dry fruits – Almonds. · Fruits and vegetables – Apples, Asparagus (Shatawar), Beans(all types), Berries (all types), Broccoli, Cabbage, Carrots, Celery, Cucumber, Lemons, Limes, Oranges, Grapes, Spinach, Sprouts, Tomatoes. · Herbs - Chillies, Curry leaves, Garlic, Ginger, Apple Cider Vinegar. Disclaimer: The content has been compiled from various Books, Magazines and Websites. My sincere Thanks to all of them. hey i got to know such a fact about our body ,till which am not aware of. i am following proper diet but also weight gain. so now I will do exercise and stay more fit. Nice artcle nidhi. Thanks for sharing the details. Really it helps alot. 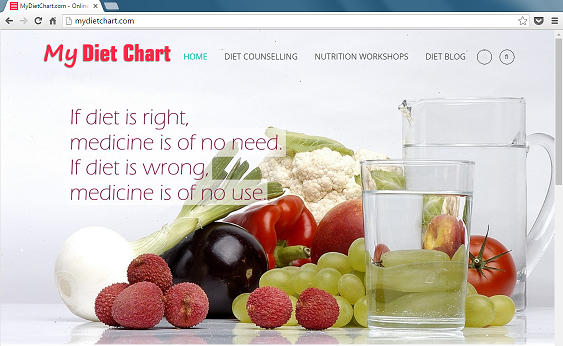 Looking forward to get more info from you on diet. Res: Glad you liked the post. Exercising always helps. All the best for a Healthy You! I update one article in 7-10 days.Shall be glad to answer your queries. Nidhi, I have read this before. I really liked this article !